Cornelius Washington Grafton (1846-1934) pastored the Union Church Presbyterian Church in Jefferson County, Mississippi for sixty-one years. He has recounted his life as a minister through two-thirds of his tenure in A Forty-Three Year Pastorate in a Country Church, which was originally published in 1916. The pamphlet has been reprinted by Log College Press which is operated by Pastor Caleb Cangelosi who ministers in Mississippi. Readers of Presbyterians of the Past may remember the post reviewing Selected Writings of Benjamin Morgan Palmer which was edited by Caleb and C. N. Willborn. The pamphlet is attractively bound with a portrait of Grafton centered in a background which mimics a cotton-fiber quality paper from the past. The pages appear aged with their almond color and the text is reproduced in an attractive and readable font. The presentation is professional and has none of the amateurish short comings sometimes found in productions from small-run publishers. 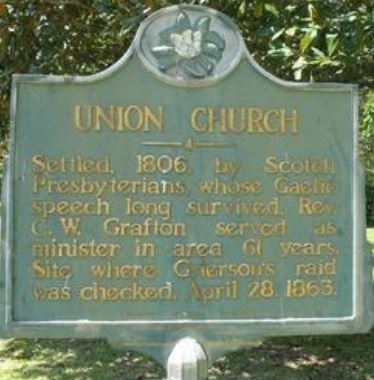 After recounting in a few pages the founding and history of Union Church Presbyterian Church, Pastor Grafton tells the story of his ministry. His narrative shows dedication to his flock and persistence in the midst of challenges unique to rural ministry. His parish was roughly four-hundred square miles in a day when travel in rural areas was often limited to foot, horse, or carriage, but in his later years Rev. Grafton was given a Ford. Visitation was a regular part of his duties and he made appointments with families who would then wait at their gates for his arrival as scheduled, come rain or shine, and when the time for dinner arrived Pastor Grafton joined the family around the table. One of the hazards sometimes occurring at visitation times was the clay roads turning into thick muck during heavy rains. A few comments by Pastor Grafton provide particular insight into his years of shepherding. One might think that such a lengthy period of preaching the Word would result in re-run sermons or no more passages to exposit, but Grafton commented “the Bible can never be exhausted,” and referring to his farm-land setting, “the pastures are just as green and the topics are just as numerous.” He added that there was no need for “so-called evangelistic services” because his ministry was covenantal; the children became communicants through faithful preaching of the Bible to the covenant households. In Grafton’s day, it was difficult for the local children to obtain an education, so he helped establish schools and led their chapel services in evangelistic ministry. Sometimes Presbyterian ministers are highly irregular in their attendance of church court meetings, or do not attend at all, but Grafton stressed the importance of ministers attending meetings and doing their bit for the common Gospel good. A final observation from Grafton’s story is that despite the limited number of people moving into his parish, deaths, and member relocations, his, as he put it, “old country church,” continued to thrive with a stable congregation. The means for stability was covenantal. Marriages occurred among the members resulting in quivers full of arrows numbering eleven, twelve, or thirteen, and Grafton’s own household enjoyed seven children. The picture painted by C. W. Grafton is one of a means of grace, covenantal, and evangelistic ministry. Many of the Presbyterian publications of the past available today are polemical works, theological volumes, and analyses of splits and reunions of Presbyterians, but Grafton’s pamphlet provides a brief but informative story of the ministry of a country preacher. 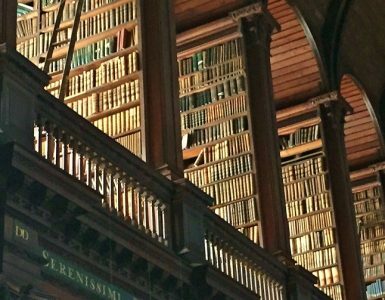 It is as if the reader was sitting in Grafton’s study while he told his experiences. 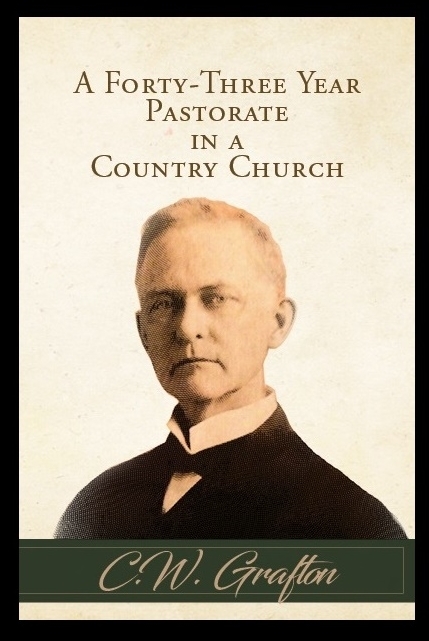 Whether it was Pennsylvania, Minnesota, Virginia, or Mississippi, many country ministers’ stories would be similar to that of Pastor Grafton’s. 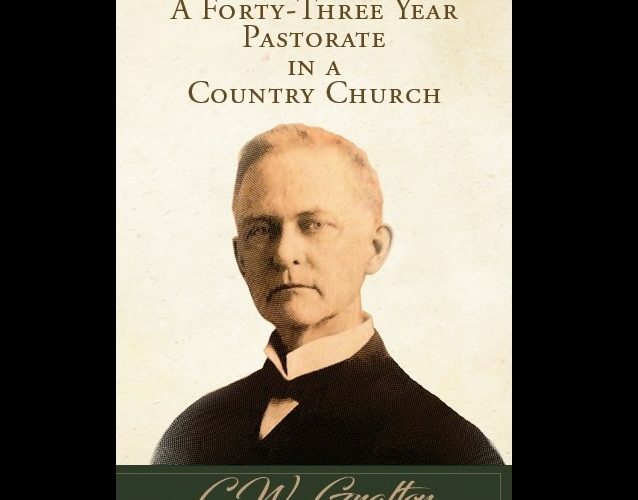 So, buy a copy of the pamphlet, sit back in your easy chair with your coffee, and step back one-hundred years to A Forty-Three Year Pastorate in a Country Church. Note that “Union Church Presbyterian Church” is not an exercise in redundancy because the Mississippi town is named “Union Church,” thus the church’s name. It appears the church no longer exists, but the village is about 65 miles southwestish of Jackson at the intersection of the highways 28 and 550, and Union Church Road. Edwin Cater, 1813-1882, served several years of his ministry in Mississippi and his life has been sketched on this site. The Mississippi State Historical Marker reads as follows. minister in area 61 years. was checked. April 28, 1863.